Linda Ronstadt with her father, Gilbert, at the Tucson International Mariachi Conference. I was going through the transcript of an interview I did in late 2012 with Richard Carranza, now the Superintendent of Schools in the San Francsico School District. Carranza is the man who started Mariachi Aztlan at Pueblo High School, and who created the curriculum for mariachis that has become so much a part of mariachi education throughout America. The interview was conducted as part of the research for my film and book project, “The Mariachi Miracle,” now in production. Much of the interview focuses on the creation of that program and how it changed his world, thrusting him into the educational administration arena. 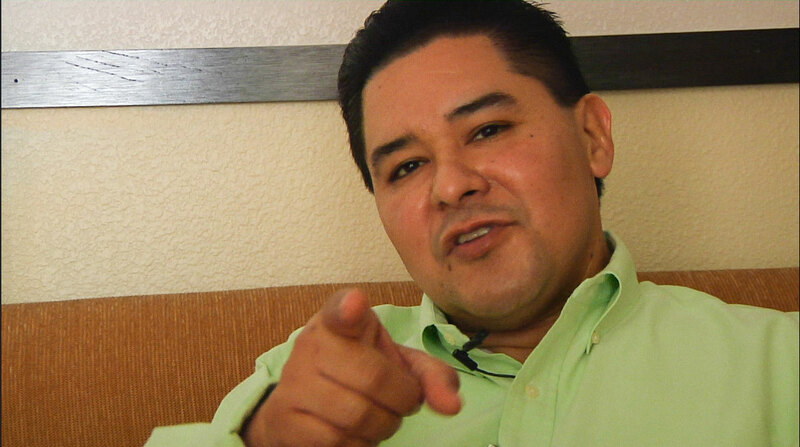 But he also talk about the many other turning points in his life that came from being a mariachi in his youth. These include attending the first mariachi conference in the U.S. in San Antonio as part f Tucson’s Los Changuitos Feos. The Changuitos took the crown in the battle of the bands in that program. He talks about attending the first mariachi conference in Tucson, and the early years when Vargas, Lola Beltran, Linda Ronstadt, Los Camperos de Nati Cano, Mariachi Cobre and more took the stage in Tucson. And then with boyhood enthusiasm he launched into this spontaneous assessment of what Linda Ronstadt’s recordings meant to him as a mariachi from Tucson. I suspect it had the same resonance for many around the country. Would love to hear your take as well on what she’s meant to the mariachi world, so feel free to comment. 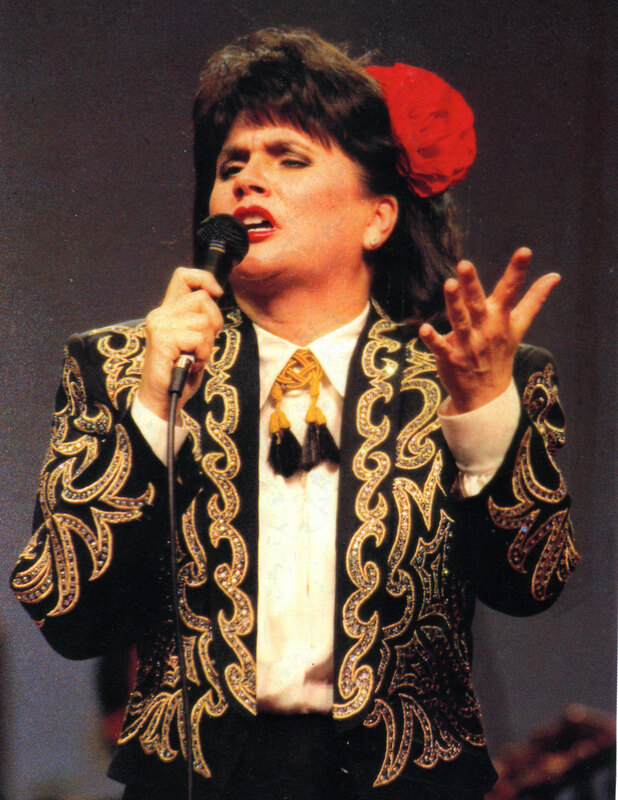 “I would also say that you cannot talk about the importance of the mariachi movement, especially the youth mariachi movement, in the United States without also talking about our Tucson home girl; Linda Ronstadt. She’s quintessentially, phenomenally responsible for what mariachi music has become in the United States, uh, because here you have someone that has reached the pinnacle of American pop music. I mean she’s a rock star! And a talentedrock star; she can sing! And she’s great looking. And she can communicate. And what? She’s recorded an album with mariachi; and not just some studio musicians she picked up somewhere; Mariachi Vargas! Oh my goodness! Sol De Mexico’s on there! Oh my goodness! The Camperos are on there! Oh my god – she didn’t just bring anybody, she got the best! And there, the honor on her album Canciones de mi Padre. Wow! What a statement! And for people that were, in my age group, that were on the edge; that were on the fence; my colleagues, other teachers that, “Well,” you know, “Wow this is really cool. It’s a neat student engagement program. I’m not really sure how I feel about this whole mariachi thing but it’s a neat student engagement program.” Linda Ronstadt just recorded this and she’s got this show. It changed people’s perceptions. All of those challenges that I’ve talked about; about what mariachi is and it’s in bars for drunks and you teach them to play out of tune and you’re going to steal people out of orchestra; all of that negativity, all of a sudden gets shoved aside because what do you have? You have a major pop star; major rock star; molded in the United States that says, “I’m proud of who I am and I’m recording some albums in this regard; and these are the songs that my father sang.” Whoa! You don’t think that there were thousands upon thousands of kids that could say the exact same thing; I sing this song because my father sang it or my grandfather sang it or my uncle sang it; instant connection. ~ by Daniel Buckley on January 6, 2015. 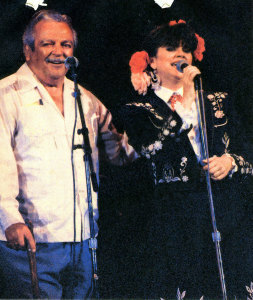 I was just a few years behind Richard Carranza in the youth Mariachi movement in Tucson and didn’t understand Linda Ronstadt’s impact on myself and my local colleagues until a few years after “Canciones de Mi Padre” was released in 1987. It became crystal clear when my parents, who were staunch admirers of “Golden Era” singers like Antonio Aguilar, Amalia Mendoza, Javier Solis and Miguel Aceves Mejia were awed by Linda’s interpretations and the arrangements (done by Ruben Fuentes) of standards. It was a generational connection that opened my eyes. Soon after, you couldn’t find a group in Tucson that didn’t incorporate “Los Laureles”, “Por Un Amor”, “Tu Solo Tu” and “La Charreada” into their repertoire. 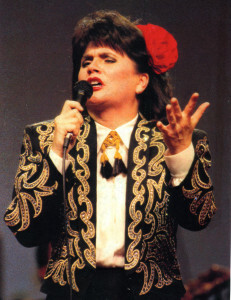 Her appearances at the Tucson International Mariachi Conferences both as a featured artist and as a guest milling about the student workshops further solidified the connection and we (youth mariachis) were caught in the wake that would pull us along many years after both LP’s (“Mas Canciones” 1991 as well) made their impact on the Mariachi world! Wow what pride I feel bein of Mexican American descent. ..studied his tory of Mexican music at university of Texas in 1978.also my sister got to experience can cones de mi Padre in new York City!